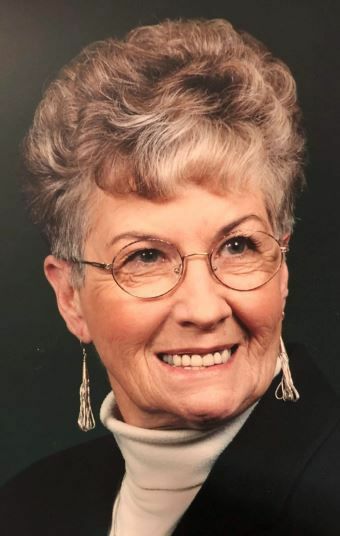 On January 19, 2019, Beverly June Houfburg passed away at the age of 85 at Overland Court Generations in Boise, Idaho. Beverly was born July 1, 1933, in Wendell, Idaho, and graduated from Wendell High School in 1951, where she then went to work for Idaho Power in Jerome, Idaho. She married, Holland “Happy Holly” Lynn Houfburg on December 31, 1952, and they made their home in Kimberly, Idaho. Beverly was busy raising their two children and helping Holly behind the scenes with his television and radio show and his western band. She later went to work at the Twin Falls Assessor's Office until her retirement. In 2007, after suffering a severe stroke, she moved to Boise, Idaho, and remained there until her passing. Beverly will always be known for her dedication to the care of her family. You always felt loved and safe at Bev's. She was also active in her community and Crossroads United Methodist Church in Kimberly. Beverly became a member of The Order of the Eastern Star No. 29 on September 24, 1957. She is preceded in death by her husband, Holland “Holly” Lynn Houfburg, parents, Jacob “Jack” Andrew and Larue Bertha Smith, three sisters, Betty Willhoyt, Larae Chaplin and LaDonna Terry and brothers in law Earl Willhoyt, Bill Chaplin and Tom Terry. Surviving are Holland (Debbie) Houfburg II, Boise, Melodie (Wayne) Baker, Clayton, Holland William (Anna) Houfburg III, Gilbert, Ariz., Alicia (Brandon) Crowe,Gilbert, Ariz., Ashley Baker (Bryce) Reese, Stanley, Justin Baker, Clayton and two great-granddaughters, Abigail Crowe and Riley Crowe, Chandler, Ariz., sister-in-law, Janet (Carl) Houfburg, Twin Falls, and many nieces and nephews and great-nieces and great-nephews. Please join us for a celebration of life from 2 to 4 p.m. Saturday, January 26, 2019, at Crossroads United Methodist Church, 131 Syringa Avenue, Kimberly, Idaho, 83341. The family suggests that in lieu of flowers donations in Beverly's memory be made to Crossroads United Methodist Church, P.O. Box 326, Kimberly, Idaho, 83341. 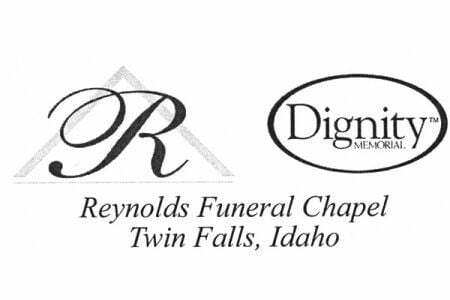 Services are under the direction of Reynolds Funeral Chapel, Twin Falls, Idaho. I used to watch" Happy Holly Hoffberg and his happy Buckaroo's" every day after School.